FLEXITOP fabric prevents the asphalt from sticking to the cover. It is lightweight, easy to handle and has excellent mechanical strength. Customer tests have proven that FLEXITOP maintains the asphalt temperature above the critical value and significantly higher than PVC covers. FLEXITOP: For optimal safety and efficiency. 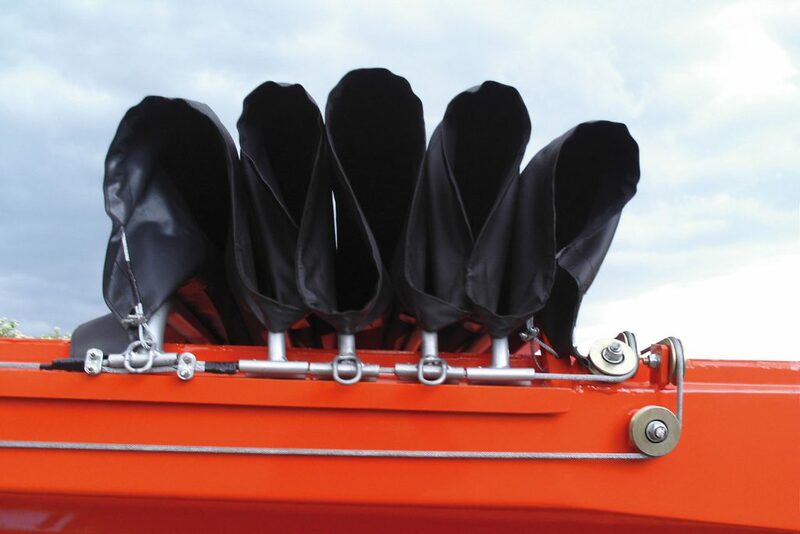 Lightweight, silicone-coated fabric, specifically developed with asphalt transporters for dump truck covers: easy to handle, temperature retaining and anti-adhesion.